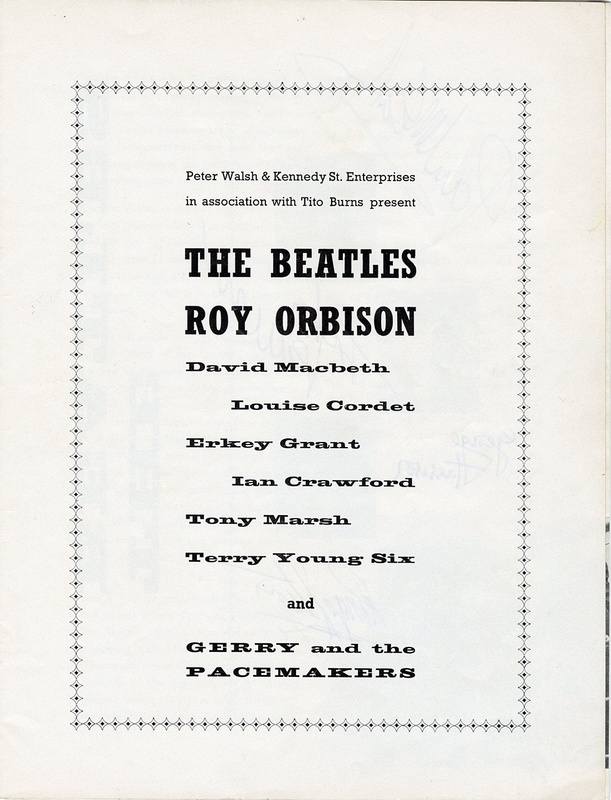 Lot Detail - Beatles Signed Original 1963 Beatles and Roy Orbison U.K. Concert Tour Program with Frank Caiazzo LOA. 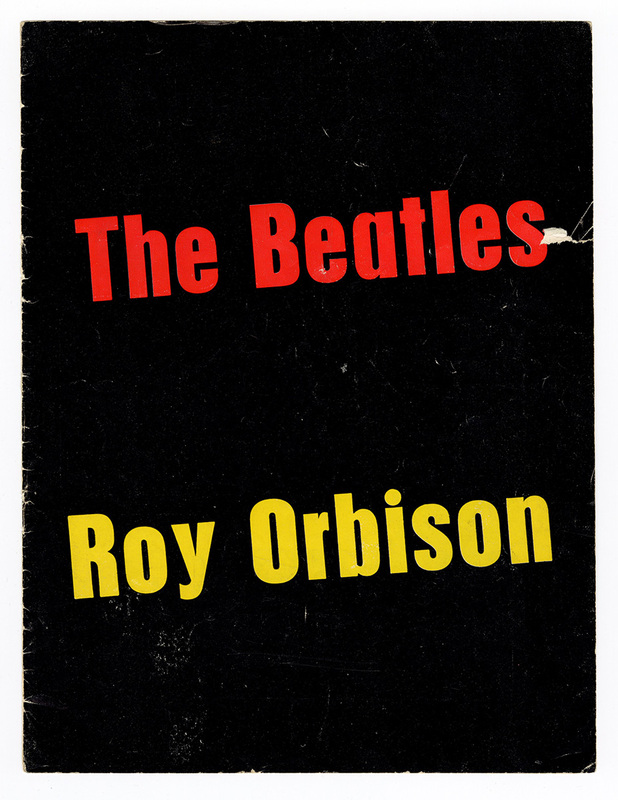 Beatles Signed Original 1963 Beatles and Roy Orbison U.K. Concert Tour Program with Frank Caiazzo LOA. 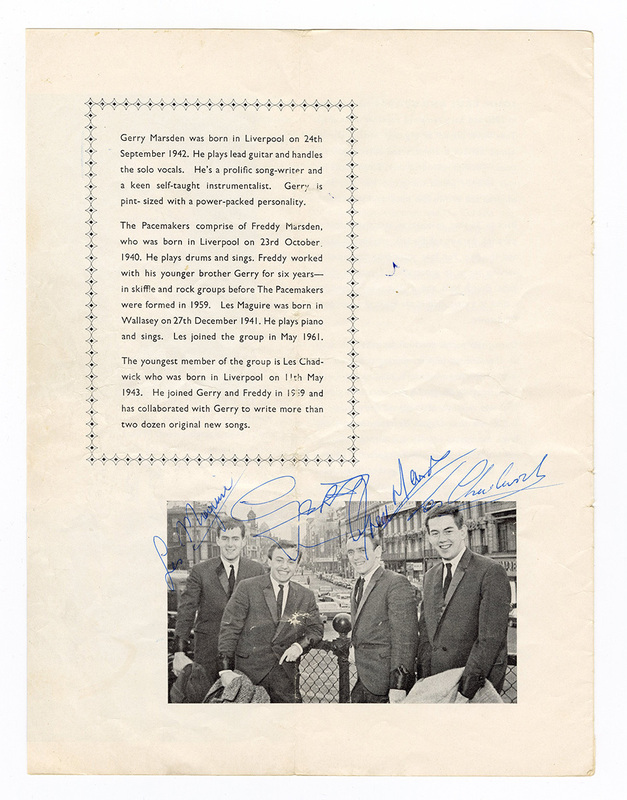 All four members of the Beatles, John Lennon, Paul McCartney, George Harrison and Ringo Starr have boldly and beautifully signed their inside picture page of this original 1963 Beatles and Roy Orbison concert tour program in blue ballpoint pen. The page upon which the Beatles have signed is in excellent condition with some light creasing and some very light foxing at the bottom of the page. It’s the fourth page in the program, the verso is the page which gives the line-up for the show. 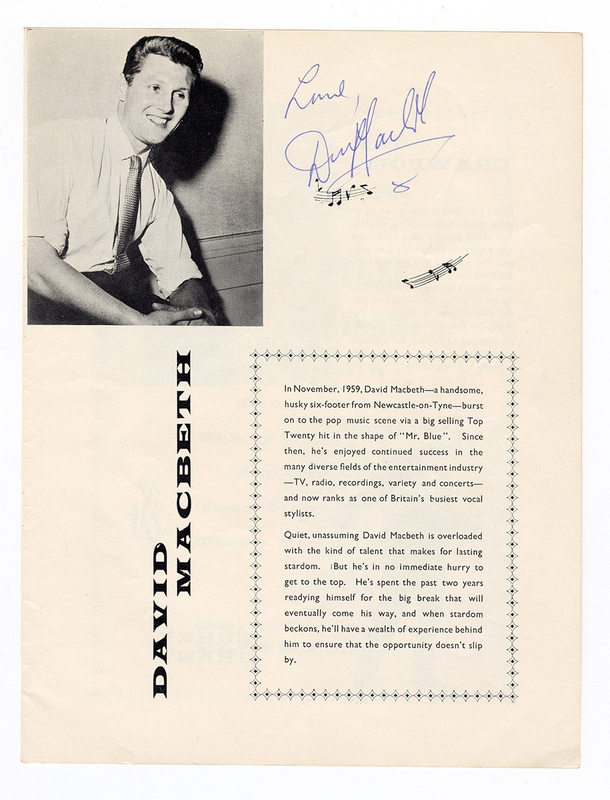 Other groups on the tour have also signed the program including The Pacemakers, Louise Cordet and David Macbeth. 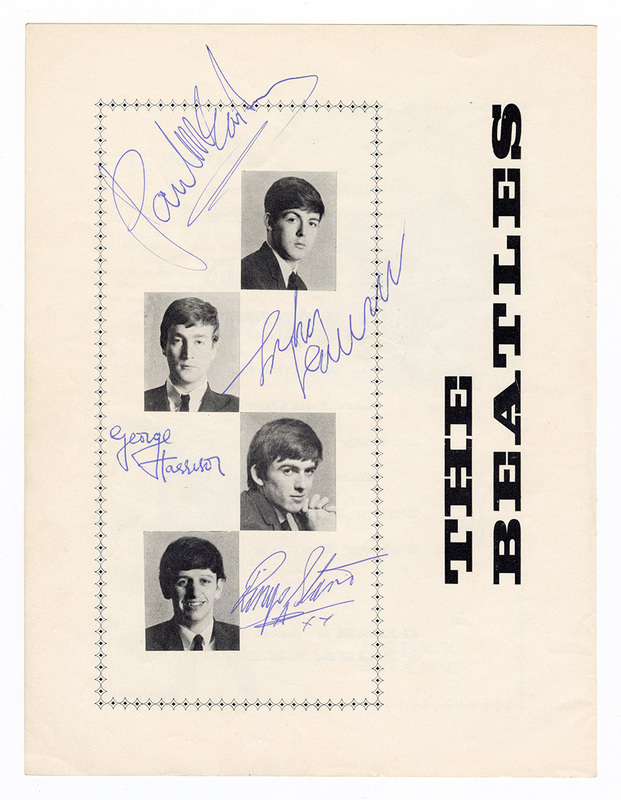 The Beatles signatures are in excellent condition, as well as the other signatures. The program measures approximately 8 x 10, there are eight pages total, not including the front and back of the front and back covers. The pages are separated from the binding and the program shows some wear including creasing on the binding and creasing on the cover with a small surface tear. 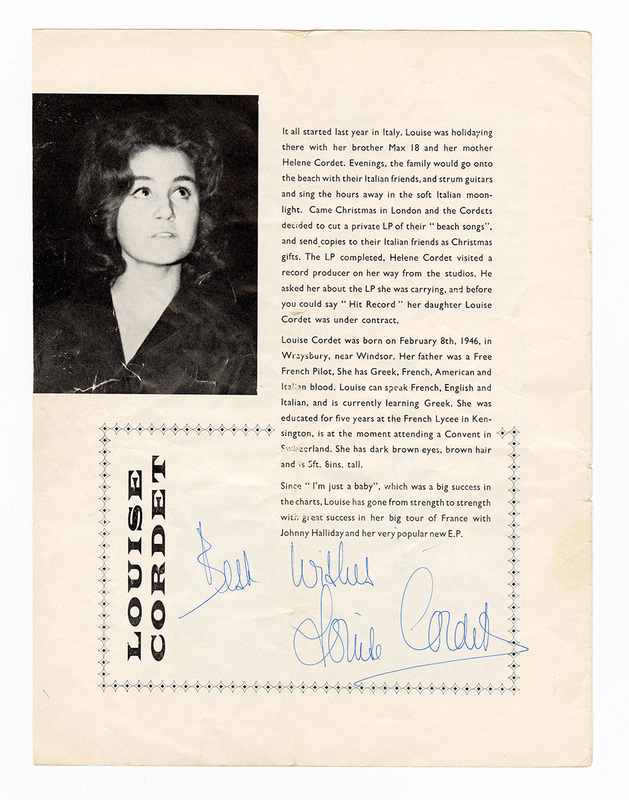 Comes with a letter of authenticity from Beatles handwriting expert Frank Caiazzo and a Gotta Have Rock & Roll™ Certificate of Authenticity.